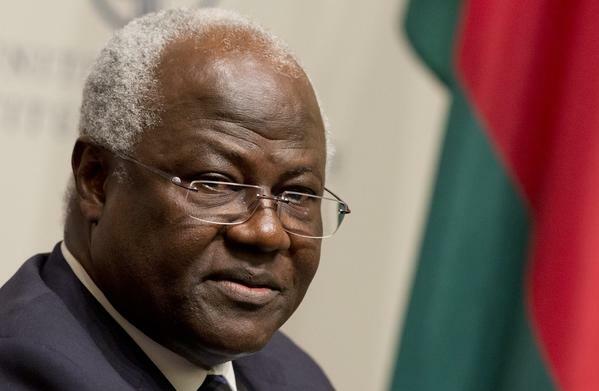 Much has been said about whether president Ernest Bai Koroma (Photo) is interested in seeking or accepting another term of office, after the end of his constitutional two terms as President. The opposition appears to be worried, shattered and literally broken over this issue. The 1991 Multiparty Constitution, enacted by the then APC government of Joseph Saidu Momoh is very clear about the presidential term limit, and president Ernest Bai Koroma is running his mandatory and final second term. The government and president are very much clear on this issue. Ever since he assumed the mantle of leadership, the President has never indicated his desire to go beyond his mandatory term limit. He is a democrat, one that believes in the principles of modern democracy. A news release has been issued to the effect, by the Office of the President, making it clear that the President – a true democrat, is not interested in going beyond his constitutional mandate. 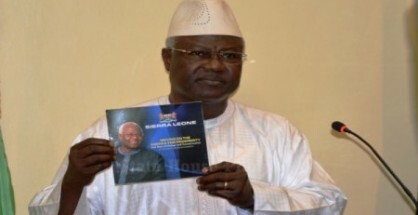 The major focus of the government and President and by extension the APC party now, is about how to deliver on the components of the Agenda for Prosperity – the blueprint for Sierra Leone’s development. If this is one of several tactics being used by the opposition to divert and distract the attention of the government, thus wanting to seek public attention, then one would suggest they become a part of the country’s development process. Because of the President’s democratic credentials, the country continues to enjoy the practice of multiparty democracy; a free and pluralistic press; an open government that can today be criticized by its citizens, including those in the opposition and civil society groups. But only a broken opposition will be crying all day long, on the decision of any citizen to give his/her opinion on an issue, as we saw recently in the case of Robin Fallay of APC Kailahun district. But looking at the issue itself, I am left with the view that given what the President has achieved for this country, people have every reason to be worried as to who will continue his great legacy. This, notwithstanding the fact that the governing party has a reservoir of competent and capable people to lead the party. But this is not the time for such debate. In all his years in governance, the level of development he has succeeded in bringing to the country is greater than that produced by any past President. From infrastructure, to health and the fight against corruption, much has been achieved in less than a decade by this president. The President got his mandate to govern from his promise to tackle governance challenges such as corruption, addressing the challenges in our health sector, addressing youth unemployment and bridging the geopolitical gap he inherited. In fact, prior to this statement in 2010, in August 2008, barely a year in office and rather contrary to his predecessor, the new government launched a new National Anti-Corruption Strategy and enacted one of the toughest anti-corruption legislations in all of Africa. Let us look at the area of social infrastructure. In the Western Area, his government ensured the construction of a multi-purpose community centre at River No.2, York Ward; a market with a parking lot at Ogoo Farm Peninsular; 16 market stalls at Krootown road; a stall & Store at Congo Town Market; rehabilitated the Murray Town Market, the Brass St. Lorry Park, and constructed a Community Centre. 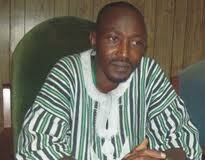 He is now constructing a shopping centre at Sewa Grounds, Freetown. Only recently, he was in Bo to commission a newly built stadium, just as he did with the Regent-Grafton Road. 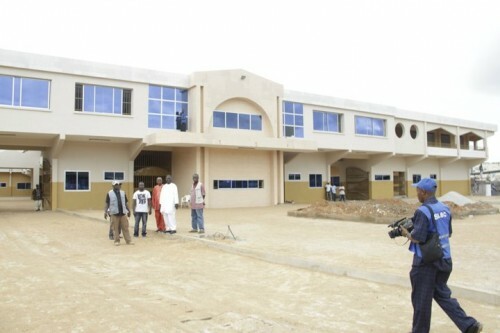 Also, through the decentralization process, President Koroma’s government ensured the erection of about fifty street lights across three wards in Bo City; rehabilitated the Bo City Hall on Coronation Field Road; constructed a funeral home at Samie Layout, Koribondo Highway- Bo City; rehabilitated the Presidential Pavilion and roofed the open pavilions at Coronation Field, Bo. In Bonthe, Southern Sierra Leone, he constructed two mini markets on York Island; ensured the reconstruction of former ADO’S quarters into a guest house on Heddle Road, and constructed the Victoria Road Bridge in Bonthe Town. The construction and furnishing of the Moyamba Town mini stadium has been completed; in Pujehun, forty-eight lockable stores have been provided in Ward 307, Kpanga Kabonde chiefdom. We have seen the construction of a multi-purpose Hall in Bundumbu and Jojoima, Kailahun District; completed the construction of the Kenema City Clock Tower on Hanga Road; constructed a market store with WATSAN facilities, Ngombu section, WARDS 30 and 31. This has also been the same in Kono, Kambia and Makeni cities. In terms of revenue mobilization for national development, the country today under the leadership of President Koroma has continued to perform exceptionally well in that area, with the NRA – under the leadership of Haja Kallah-Kamara. The institution has seen and witnessed realistic transformation with the introduction of the Automated System for Customs Data and the consolidation of the GST and Income Tax, under the umbrella of the Domestic Taxes Department. 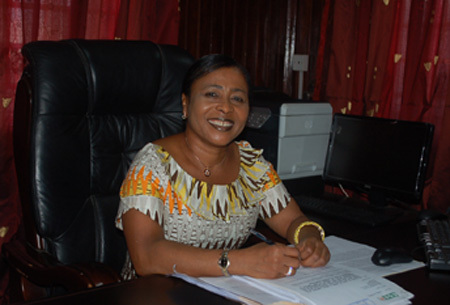 Since Haja Kallah-Kamara took over the NRA as Commissioner-General, there has been tremendous improvement in terms of revenue collection, with the institution now collecting trillions of Leones for government. Government, through that institution has also succeeded in putting measures in place aimed at addressing the problem of revenue leakage. There has also been strong collaboration amongst the ACC, NRA and the police, which has helped the ACC in exposing the biggest fraud at NRA, that saw the jailing of a number of people this month. And all this achieved under the Koroma presidency. The country is today regarded as an investor friendly nation, with the Sierra Leone Investment and Export Promotion Agency (SLIEPA), providing the platform for direct foreign and domestic investment in Sierra Leone. 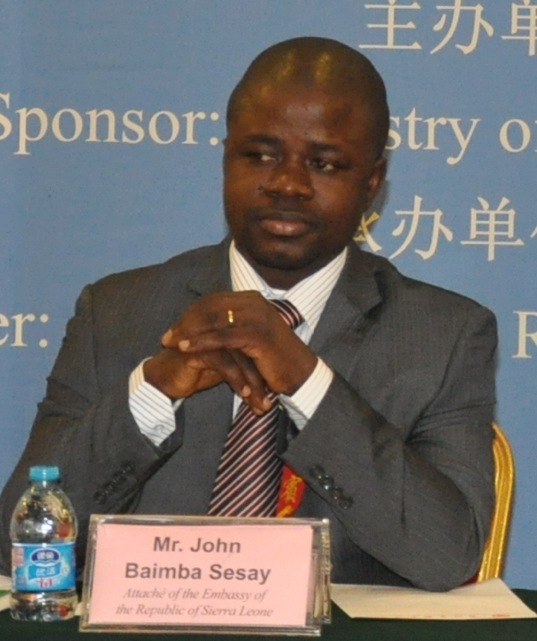 (Photo: John Baimba Sesay). Development partners and traditional donors have continued to express their strong willingness and continued determination to support Sierra Leone’s development path. The United Kingdom, the People’s Republic of China, amongst others, have all remained committed to supporting Sierra Leone. Given these and many unmentioned development activities, there is every need to be concerned, that as the President is retiring in the coming years, we think of how to sustain his achievements. Talk about a third term presidency should be allowed to pass off, as it has been made clear by the President, that he is not interested. He shall be retiring at the end of his tenure. He is a people’s President; an astute one that will be missed by millions of his citizens, but still loved by a people wishing to see him continue. Thanks so much brother for the explicit contribution you have made for all and sundry, but specifically to the worried opposite camp.